N266-0371, originally uploaded by Paradise in Portugal. Over the last few months they’ve been doing some repair work on the railway that runs through Santa Clara, and there’ve been huge lorries moving tons and tons of soil and rock from one place to another nearby. All well and good, but the cost has been that the main road near us has simply disintegrated, and the picture above is just one of the many pot-holes around here. Flora standing behind it gives some idea of the size, but that pile of earth in front of her isn’t at the side of the road – it’s right in the middle, and the difference between the bottom of the hole and the top of the pile is over half a meter! We’ve talked to the Junta, (the equivalent of the Parish Council), we’ve complained to the Câmara, (the equivalent of the County Council) and we’ve made an official complaint to Estradas de Portugal, (the national road maintenance body), complete with photographs etc etc and nothing seems to be happening at all, so please, if you’re going to be visiting us anytime soon, TAKE CARE or you’ll be liable to lose your sump, wheels, tyres – or even the whole car if it gets much worse. It’ll be interesting to see when something’s actually done about it; I’ll keep you posted! Two-tailed-Pasha-1548, originally uploaded by Paradise in Portugal. As the days become warmer so more and more Butterflys, Moths, Dragonflies and Crickets appear. The Cicadas have still to appear in large numbers, but every day seems to bring something new to our attention. This morning it was this Two-tailed Pasha, warming up in the early morning sunshine. It’s the largest European Butterfly and the food plant is the Arbutus bush or “Strawberry Tree”. 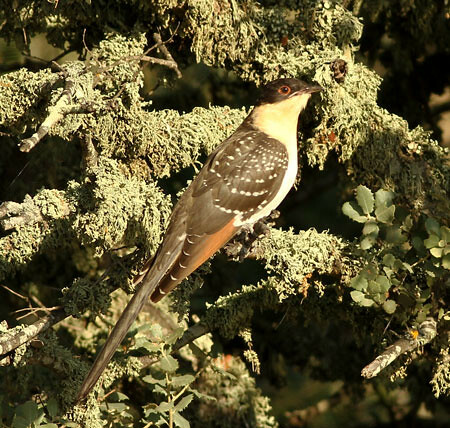 Those markings on its under-wing are pretty vivid and should bring it to the attention of all the nearby birds, but maybe it doesn’t taste too good as we make our local hooch out of the same bush – it’s pretty powerful stuff! Called Medronho it’s drunk out of tiny glasses at any hour of the day, but normally accompanied by a slice of cake or a biscuit or two. The first one’s enough to make your eyes water, but the second goes down easily enough and the third even easier – by the fourth you’ll be past caring! 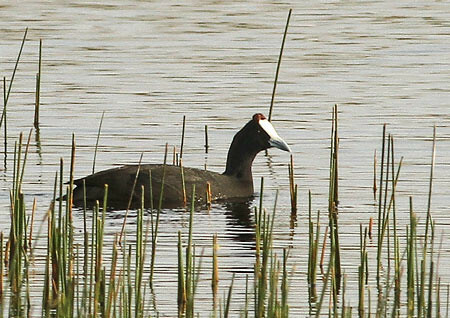 Red-knobbed-Coot-1206, originally uploaded by Paradise in Portugal. We noticed a real rarity in SPEA‘s recent newsletter to us which we received last week. A Red-knobbed Coot had been seen on a lake close to a village near our normal Plains Birdwatching tour, so we decided to try to find it, and on the third lake we checked there it was.